Peter Jackson's latest J.R.R. Tolkein-based film, The Hobbit: The Desolation of Smaug, hits theaters today. But Tolkein's books haven't just inspired films. Here's a look back at a few Hobbit- and Lord of the Rings-inspired musical moments. Previously available only as expensive hardcovers, the first paperback editions of The Lord of the Rings in the mid-1960s led to an explosion in popularity for the series. It was particularly embraced by the countercultural crowd; the motto “Frodo Lives!” eventually appeared on buttons, bumper stickers, and t-shirts of the era. It didn’t take long for the series’ influence to permeate psychedelic music, as Tolkien-themed songs and bands popped up throughout the next decade. Journeyman singer/songwriter Jimmy Curtiss formed a sunshine pop group called The Hobbits, who released their debut album, Down to Middle Earth, in 1967; the psychedelic group Gandalf formed in New York City the same year. Fuzz-propelled rockers Armageddon dramatized Gandalf and Bilbo’s first meeting in the lyrics to “Bilbo Baggins,” from their 1969 self-titled debut. San Francisco’s bafflingly-named Neighb’rhood Childr’n closed their lone album with a song called “Hobbit’s Dream.” Tom Rapp, the writer behind psych-folksters Pearls Before Swine, was so inspired by Tolkien’s work that he gave him a songwriting credit on the band’s 1968 track, “Ring Thing,” which sets much of Tolkien’s “The One Ring” poem over a far-out psychedelic backing. In 1972, folk singer Chris Wilson released a record under the name Gandalf the Grey, titled The Grey Wizard Am I. The album’s lyrics were full of Tolkien references—the title track vaguely summarizes The Hobbit and The Lord of the Rings—but its grandest homage is the (absolutely amazing) cover photo, featuring Wilson in full wizard garb. John Lennon was reputed to be a big fan of The Lord of the Rings. So much so, in fact, that he once tried to buy the film rights to the series, but Tolkien balked at the idea of a big screen adaptation starring The Beatles. Although it’s hard to imagine how their version might have turned out, you have to admit the casting choices were pretty spectacular: Paul was to star as Frodo, George was to play Gandalf, Ringo would be Samwise, and John? Gollum. During the original Star Trek series’ three season run in the late 1960s, actor Leonard Nimoy released two novelty albums for Dot Records. (The records featured songs where the TV star performed in-character as his wildly popular Mister Spock.) The second of these albums, Two Sides of Leonard Nimoy, featured a song titled “The Ballad of Bilbo Baggins,” composed by writer Charles Grean and inspired by Tolkien’s classic. He performed the song with a gaggle of groovy, pointy-eared dancers on a 1967 episode of Malibu U, and the video is still one of the greatest things you’ll find on YouTube. Led Zeppelin is the band most famously known to be fans of Tolkien’s work, and they’re easily the biggest-selling. Several of their chart-topping albums contained allusions to Middle-earth. For example, the song “Ramble On” name-drops Mordor and Gollum, “Misty Mountain Hop” was titled after the location of the same name from The Hobbit, and “The Battle of Evermore” referenced a dark lord, ring wraiths, and magic runes written in gold. Led Zeppelin’s love for all things Lord of the Rings wasn’t limited to their music: Robert Plant’s dog, which he sang about in the song “Bron-Y-Aur Stomp,” was named Strider, after Aragorn’s nickname. In 1970, Swedish keyboardist Bo Hansson had hit a lull in his career. He’d toured in support of The Rolling Stones and even jammed with Jimi Hendrix—the famous guitarist recorded a version of “Tax Free,” which Hansson had written—but his latest band had broken up, leaving him in search of a new direction to take his career. Inspired by his girlfriend’s copy of The Lord of the Rings, Hansson retreated to a summer house on an island off the coast of Stockholm and, with the help of a few friends, recorded a full instrumental concept album based on Tolkien’s trilogy. Released in Hansson’s native country in 1970 as Sagan om ringen—the title of the series’ Swedish translation—and abroad in 1972 as Music Inspired By Lord of the Rings, it was a major hit for the keyboardist, even earning gold record status in the U.K. and Australia. Hansson tried to repeat the literary formula in 1977 with Music Inspired by Watership Down, but that album was a commercial flop. Sweden wasn’t the only country where progressive rockers recorded Tolkien tributes. By the early 1970s, The Lord of the Rings had found a new wave of musically-inclined fans among several of the genre’s most famous groups in the U.S. and United Kingdom. Rush wrote the surprisingly gentle “Rivendell” for their 1975 album, Fly By Night. Styx included “Lords of the Ring” on their 1978 classic, Pieces of Eight, while a pre-Phil Collins Genesis wrote a song about Gollum (“Stagnation”) for 1970’s Trespass. 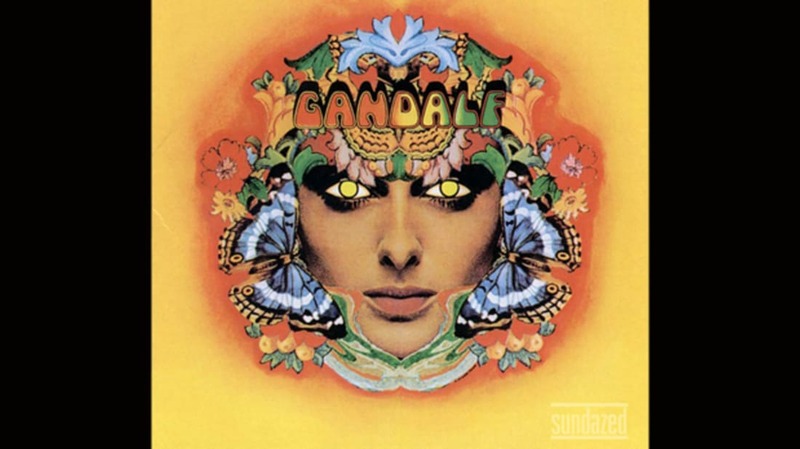 Camel’s second record included a nine-minute composition called “Nimrodel/The Procession/The White Rider,” and Argent wrote an almost eight-minute track called “Lothlorien” for 1971’s Ring of Hands. As the ‘70s gave way to the ‘80s, heavy metal acts were the next musical movement to embrace Tolkien’s world of elves and orcs en masse. California’s Cirith Ungol took their name from the spider Shelob’s lair, while Germany’s Attacker titled their first album Battle At Helm’s Deep. In more recent decades, bands such as Summoning (Austria) and Battlelore (Finland) have formed and filled their discographies with Tolkien-themed songs and records. The Lord of the Rings’ influence was particularly strong among Scandinavian metal acts. Sweden’s Amon Amarth took their name from an Elvish title for Mount Doom, while Norway’s Gorgoroth are named after an area of Mordor. The lead singer of Norwegian black metal unit Dimmu Borgir takes his stage name, Shagrath, from an orc army commander, while Burzum—a notorious recording project from Norwegian black metal’s early years—is a word meaning “darkness” in The Black Speech, the language spoken by Sauron’s servants. Metal’s most intensive tribute to Tolkien comes from Germany’s Blind Guardian. Their full 1998 concept album, Nightfall in Middle-Earth, is a power-metal take on Tolkien’s The Silmarillion. It was a New Zealand director who finally produced a complete and generally faithful filmic adaptation of The Lord of the Rings; it was a duo from the same small island nation who would create its definitive musical parody. Jermaine Clement and Bret Mckenzie—the pair behind the Grammy Award-winning musical comedy group Flight of the Conchords—introduced their tune, “Frodo,” during live performance as a rejected theme song for Peter Jackson’s film trilogy. The parody acknowledged Tolkien’s influence on both psychedelic folk and metal by borrowing from each musical style, and even tossed in some hip-hop for good measure. The song was later included in an episode of their HBO series. The song wasn’t Flight of the Conchords’ first venture into Middle-earth; McKenzie played an elf in the first and third installments of Jackson’s trilogy.